My new biography came out on Friday, January 6th, 2017. 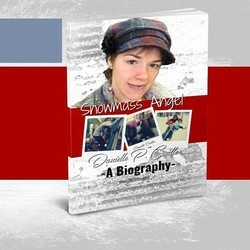 In Snomass Angel you will learn what I been up to since my first Bio in 2014. You will learn what I'm doing and read stories that I had never told anyone before. Get your copy today on Amazon and get a free If Dan Can Shred, You Can Too. Two books in one. See my interviews on Iconic Legends Podcast and Quantum Shift Show Podcast.